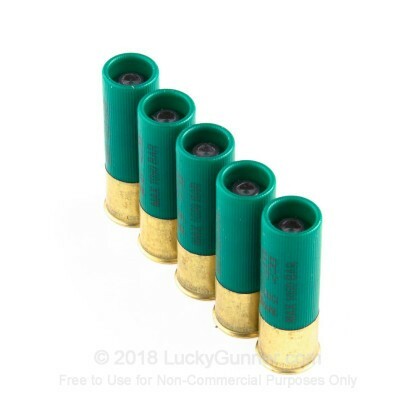 Remington® introduces the first high-velocity Foster-style lead slug. 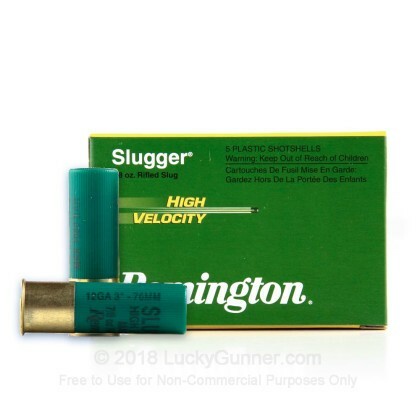 This higher velocity slug exits the barrel at 1875 fps, 13% faster than standard 1 oz. slugs. 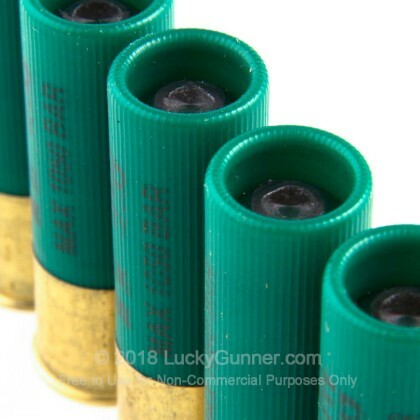 The 7/8 oz. Slugger High Velocity delivers 200 ft-lbs more energy at 50 yards with flatter trajectory on deer than standard 1 oz. slugs. 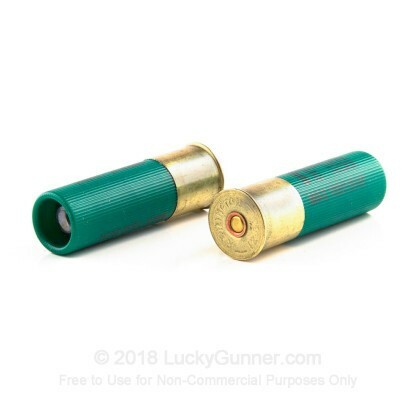 This load is perfect for deer hunting with a smooth bore slug-gun. 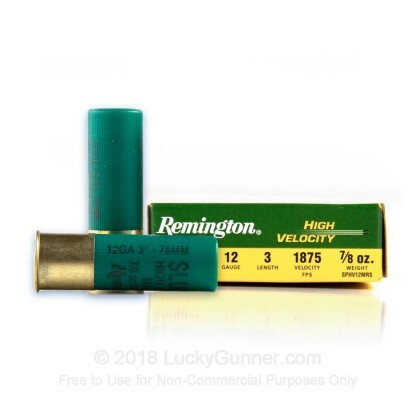 We don't have any reviews yet for this particular 12 Gauge ammo from Remington. 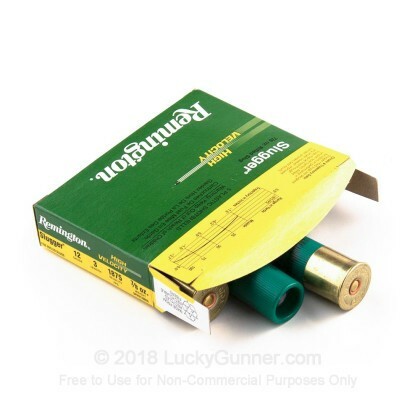 If you'd like to be the first to review this particular 12 Gauge ammo from Remington, fill out the form below.